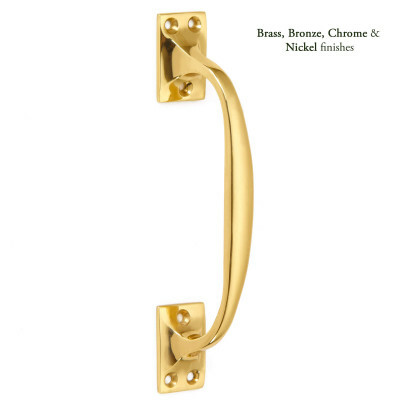 Benjamin Rectangular Cabinet Handle﻿ by Oliver Knights, shown here in Satin Brass and available in 2 sizes. These handcrafted fittings are Made to Order, so are non-returnable, please double check sizes before ordering and allow for a lead time of approx 2 weeks. 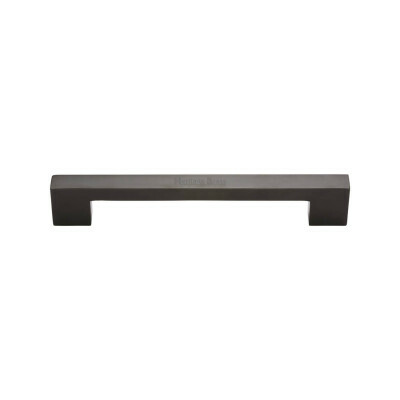 The Benjamin Rectangular Cabinet Handle has a hammered effect to create added interest and texture. They look amazing when fitted as pairs to cupboards and doors. Available in 2 sizes. They are part of a beautiful collection of door and cabinet furniture designed and created by Oliver Knights. 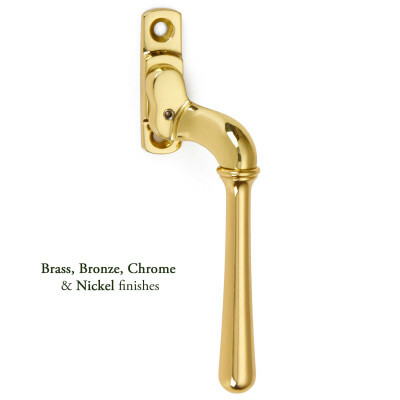 Oliver Knights, established in 1972, are designers and manufacturers of the highest quality architectural hardware. All aspects of production taking place in the heart of England. This collection has been designed to provide door and cabinet furniture of superior quality, in a range of co-ordinated finishes, on a much shorter lead time. 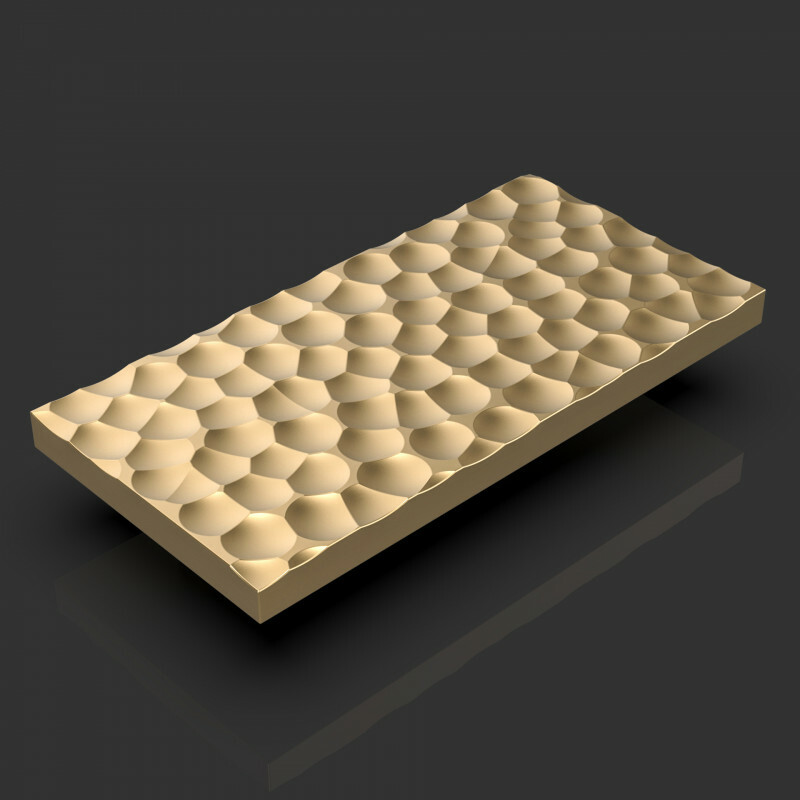 Made from solid brass, each cabinet knob is CNC machined to ensure accuracy and fine detailing. 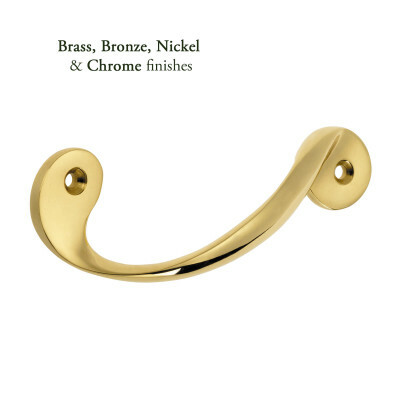 There are a choice of 8 standard finishes - Polished Brass, Satin Brass, Antique Brass, Black Bronze, Polished Nickel, Satin Nickel, Polished Chrome and Satin Chrome. A range of additional finishes, along with precious metal and bespoke finishes are available - please contact us for more information. Brass and Bronze finishes are unlacquered and protected with waxed layer, this creates a living finish which will age and develop with time and touch. Sold individually a supplied with fixing bolts. You may need to trim the bolts to size when fitting. All Oliver Knights products are Made to Order, please check sizes and finishes carefully as these items are non-returnable. Allow a lead time of approximately 2 weeks.